People have used spices for centuries, due to their amazing properties to enrich out food, as well as their numerous medicinal effects. Yet, one spice is a real natural miracle! It is the miraculous turmeric! This amazing spice comes from the root of Curcuma longa, which is a flowering tropical plant native to India, and its healing properties have been used for thousands of years in Ayurveda. This is the natural Healing system of India, old 5,000 years. Moreover, scientists discovered cooking residue on pottery shards, which indicate that turmeric was used for cooking in Asia 4,500 years ago. Turmeric is also used in the preparation of curry powder, which is a vital spice in the south Asian cuisine. Although turmeric is commonly used dry, its root may also be grated and used. This yellow gold is extremely effective in the case of various health issues, including diabetes, heart disease, arthritis, psoriasis, Alzheimer’s, and cancer. This article today will reveal all the answers you need on how to use it, whether to take turmeric supplements and all its health benefits. -Traditionally, this effective spice was used in the treatments of allergies, colds, arthritis, digestion issues and gallstones.If used topically, turmeric can treat skin issues and wounds. Moreover, it has remarkable effect when used as a beauty treatment. Therefore, turmeric soaps and creams are becoming increasingly popular nowadays. Furthermore, in some parts of Pakistan-India and Bangladesh, during the marriage ceremony, a turmeric paste is still applied on the faces of the bride and the groom, as a method which will bring them luck, as well as to enhance their beauty. Although you may see it written this in numerous websites or newspapers, you need to know that turmeric and curcumin, as well as curry powder, are three different things, so you should not use them interchangeably. First of all, curry powder is a mixture of various different spices, including turmeric. On the other hand, despite all the numerous compounds of turmeric, there is one which has remarkable potential and brings various healthy benefits to the spice. 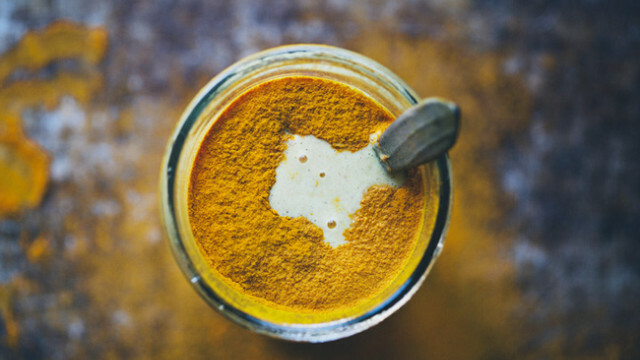 This powerful active ingredient is called curcumin, which has unique, potent characteristics and a wide range of beneficial health effects. This powerful compound may also be found in ginger as well, which is another strong medicinal spice. According to numerous health websites, there is evidence that shows that turmeric can have strong beneficial effects in the case of more than 600 ailments. Yet, the majority of research was conducted on curcumin, not turmeric. The reason for this is the fact that research is done more easily if conducted on an isolated compound, as it can be studied as a drug- like, rather than as a spice- like. Yet, the major reason is that there is a little monetary incentive to research a common spice, frequently used in our everyday life, as it is not a substance that can be patented. Nevertheless, studies have provides evidence indicating that curcumin is effective in lowering the risk of heart attack, reducing allergies, reducing arthritis pain, controlling diabetes, breaking up the brain plaques of Alzheimer’s, and curing depression. Moreover, it has been proven that turmeric has at least 10 antioxidants, more than 20 antibiotic compounds, 12 anti-inflammatories, 14 known cancer preventatives, and 12 anti-tumor ones. Turmeric has been proved to be able to prevent Alzheimer’s. Namely, older villagers in India who regularly consumed turmeric have been found to have the lowest rate of Alzheimer’s in the world. Turmeric contains more than 200 ingredients that have been studied as potentially useful in the treatment of Alzheimer’s. Namely, turmerone, which is another turmeric ingredient triggers the production of new neurons and stimulate the brain to repair on its own. This characteristic means that it can be significantly useful in the case of numerous degenerative brain diseases, such as Parkinson’s, traumatic brain injury, Alzheimer’s, and stroke. Inflammatory diseases like arthritis are very common. Statistics claims that over $650 million is annually spent in the U.S. on natural remedies for the treatment of chronic inflammation. Turmeric is a potent anti-inflammatory, so it is really useful in the case of arthritis when both, applied internally and externally. According to the report of the Arthritis Foundation, turmeric leads to a long-term improvement in pain and function in the case of osteoarthritis.In this case, you should take one capsule (400-600 mg) three times daily, or 0.5-1.0 gram up to 3 grams of powdered turmeric root in a day. This fantastic spice is potential cancer- fighting agent. It acts synergistically to enhance the effects of chemotherapy and radiation, and it effectively destroys only affected tumor cells and does not harm the healthy ones. Dr. Saraswati Sukumar, a medical oncologist at the Johns Hopkins University School of Medicine, had conducted a few hundreds of studies on the effects of this spice int he case of cancer. Namely, she has discovered that the effect of turmeric is bigger when consumed prepared in food than if taken in the form of turmeric or curcumin supplements. Turmeric has an incredible antidepressant effect, and it has been proved to be more powerful than fluoxetine, which is the generic name for Prozac. It lowers the stress hormone cortisol and raises the serotonin levels, the neurotransmitter which is responsible for out happiness. Moreover, it is a completely natural treatment and has no side- effects as these medications. Either as a supplement or in your food, there is no restriction on the use of turmeric. Also, you can safely combine it with other anti- depression natural remedies. The truth is that the turmeric’s active ingredient, curcumin, is not very well absorbed bu our body, as it may pass through the intestines being not fully used. Therefore, you should mix it with black pepper, in order to stimulate its absorption. Namely, piperine, which is an ingredient in black pepper, increases its absorption by 2,000%! Moreover, curcumin is fat soluble, so its bioavailability is improved when turmeric is cooked in oil. Therefore, the Indian cuisine knows this aspect of the spice and uses sesame, peanut, and coconut oil, as well as butter-derived ghee. This tea is a wonderful way to incorporate this amazing spice into your regular diet. A rather interesting fact is that while boiling it in water for around 10 minutes, the curcumin’s solubility is increased for 12 times. Inhabitants of Okinawa, Japan, daily drink large amounts of this tea, and they are the people with the longest lifespan in the world, approximately 81.2 years. In order to prepare this tea, you need to put 1/2 teaspoon of turmeric powder in a cup of water and simmer for 10 minutes. Then, strain and pour it into a cup. Its taste is a bit strange, as it is extremely bitter and medicinal- tasting. Therefore, we will suggest another variant that has a better taste, and increases the bioavailability by both heating and adding coconut oil. Add turmeric powder in the boiled water and gently simmer for 10 minutes. Then, add the coconut milk and oil, and heat the tea until warmed. Then, add stevia or honey. In order to prepare it according to your taste, you can experiment with the ingredients and proportions. Instead of coconut oil, you can also add the traditional clarified Indian butter, ghee, and it will also provide an enhanced buttery taste. In the case of the intake of a standardized powder supplement, the recommended dosage is 400-600 mg, 3 times a day. Moreover, always choose products standardized for 95% curcuminoids, and also have black pepper extract or piperine. When consumed in food, turmeric is completely safe, as it causes no side- effects, apart from the increased risk of kidney stones in people who are prone to their occurrence. On the other hand, turmeric supplements can lead to numerous side effects, warnings, and interactions. As we stated, turmeric and curcumin are not the same, but their side- effects are treated as one by the sites like the National Institutes of Health’s MedLine, Drugs.com, and RXlist.com. -- a hormone-sensitive condition, as turmeric acts as an estrogen, and it should not be used in the case of endometriosis, reproductive cancer, or uterine fibroids. -pregnancy. Curcumin triggers the uterus and increases the risk of a miscarriage. It is still not confirmed whether it is safe to be used while breastfeeding. -- if you have trouble conceiving. -- gallstones or gallbladder disease. Turmeric can worsen these conditions. -- your surgery is scheduled in two weeks. Turmeric raises the risk of bleeding. -- you take medications that decelerate clotting, like diclofenac, ibuprofen, aspirin, clopidogrel, warfarin and naproxen. Turmeric raises the risk of bleeding and bruising. -- GERD, ulcers, or other stomach problems. Turmeric may cause stomach upset, nausea, gastric irritation, and diarrhea and worsen the condition in the case of GERD. -- you take drugs to reduce stomach acid, as turmeric may interfere with the actions of medications as Tagamet, Zantac, and Nexium, by increasing the stomach acid production. -- if you take medications for diabetes, as turmeric raises the risk of low blood sugar or hypoglycemia. -- in the case of iron deficiency, as turmeric inhibits the iron absorption.